W.R. Yuma is a young Belgian start-up which has started making sunglasses using 3D printing. What’s so special about that? They are made from plastic waste, such as drinks bottles, car dashboards and even fridges. A summary of a fine initiative combining fashion and the circular economy! 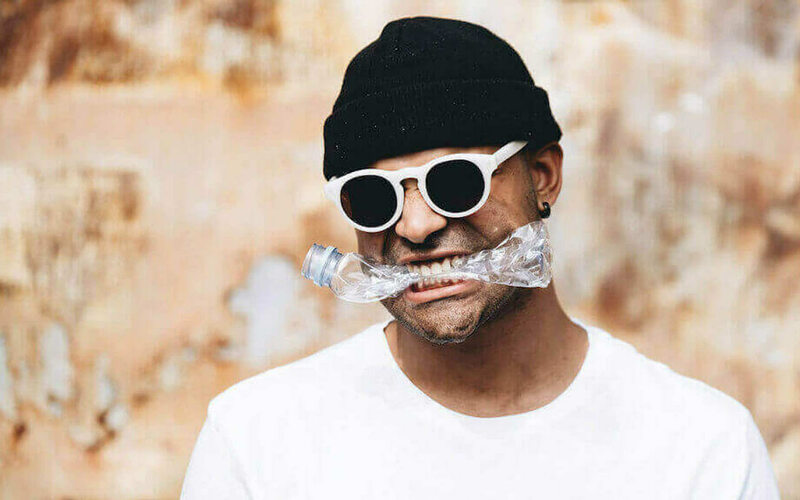 The start-up has set itself the objective of defining the future of waste through fashion sunglasses made via 3D printing using recycled plastics. It’s an interesting project and a change from the traditional Ray-Bans we’re used to seeing on the market. It’s also quite attractive to consumers who are increasingly sensitive to the issues of the environment and recycling, and who are paying ever more attention to the source of their clothes and how they are made. These sunglasses therefore provide the perfect solution to this trend, which the brand is hoping to make the most of. “Waste is only waste when it is actually wasted”, the Belgian start-up declares. “We believe that the circular economy is the future and would like to bring our way of thinking to as many industries as possible. We are convinced that a waste-free society can exist.” Driven by this philosophy, the start-up grinds up the plastic waste to transform it into a filament to be used in the 3D printing of its glasses. It’s an initiative that reminds us of the one conducted by the city of Amsterdam, which has produced street furniture from the waste generated by its inhabitants. “The black plastic comes from car dashboards recycled in the Netherlands”, explains W.R. Yuma. “90% of our transparent plastic is composed of drinks bottles. Even the ink on the sides and inside comes from recycled fridges.” 3D printed glasses have been designed to be recycled themselves, as they contain neither glue nor toxic substances that would make them difficult to recycle. The company adds that customers could even obtain a discount by exchanging their old sunglasses for new ones. The sunglasses are not yet available for purchase, but they can be pre-ordered. So, when will we have OWA sunglasses printed from recycled yoghurt pots?